BURNET, TX – Spring is a busy time of year for the firearms community, and this year has been busier than ever. 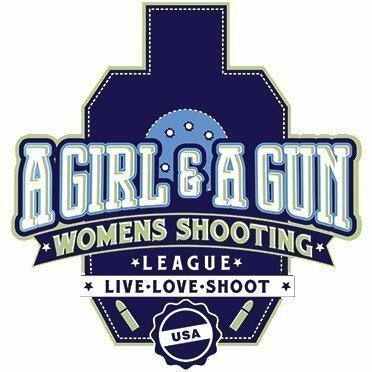 One highlight of my spring is always the A Girl and A Gun Women’s Shooting League National Conference. I’m so fortunate that it’s basically offered in my backyard, in Burnet, TX, at Reveille Peak Ranch. The city of Burnet and the surrounding communities are gracious and welcoming hosts, and Reveille Peak is a top-notch facility that, like conference itself, improves year over year. Conference began three days early for facilitators and A-Team (chapter members who help with events and are NRA Range Safety Officers). Leadership training is usually always free or extremely low-cost thanks to a bevvy of national sponsors, and ammo is provided, as well. This structure makes it possible for nearly half of the country’s facilitators to make the trip to Texas and stay for a whopping 7 full days of training and growing. This year, Tatiana Whitlock came aboard as AG&AG’s National Director of Training, putting together a structured and purpose-driven leadership development program meant to raise the bar for the instructors who lead AG&AG chapters. A Girl and A Gun leadership and facilitators have never been satisfied with the ubiquitous lack of standards within the firearms industry. While facilitators have always been required to complete NRA Basic Pistol Instructor training, we also know that that is the most basic of the basic training, and it’s only a first step in becoming truly competent in our shooting and instruction skills. That fact was ingrained in all of us from the beginning. Kathy Jackson (The Cornered Cat) established a foundation for leadership training within the organization. What has changed under Whitlock’s leadership is that now, A Girl and A Gun is rolling out branded training modules and requiring instructors (facilitators) who teach those modules to train, test, and document proficiency via objective standards that are recognized throughout the industry. There’s that phrase again: objective standards. It’s a bellwether phrase for the future of the gun industry, and AG&AG is leading the charge. A Girl and A Gun has only been around for 7 years, but in that short time, the organization has managed to stay ahead of industry trends and advances by about 2 years. When the firearms instructor community was still caught up in chest-thumping and “tactical” skills debates, AG&AG facilitator/instructors were developing their emergency medical toolkits and began keeping IFAKs (Individual First Aid Kits) and trauma kits on their person or at the firing line. Last year, every chapter facilitator was given a free trauma kit that included a tourniquet, chest seal, combat gauze and a pressure bandage. This year, every woman who attended leadership development completed Stop the Bleed training by Dark Angel Medical. A Girl & A Gun is, without a doubt, among the safest and most prepared training organizations within the private-sector firearms community. The industry is sitting up and taking notice, and I can only imagine that raising the standards for A Girl & A Gun will trickle down to the larger firearms training community. Look for that sea change in about two years. Interested in learning more about A Girl & A Gun Women’s Shooting League? Join the Temple Chapter for our First Tuesday Girls’ Night Out at Temple Gun Club, follow our Google Calendar or join our Facebook Group to keep up with events and news. All skill levels are welcome.